For more than 40 years, clients continue to turn to Joseph H. Purvis for his legal expertise, sound judgment and wise counsel. He has demonstrated time and time again his commitment to providing the best guidance to his clients. 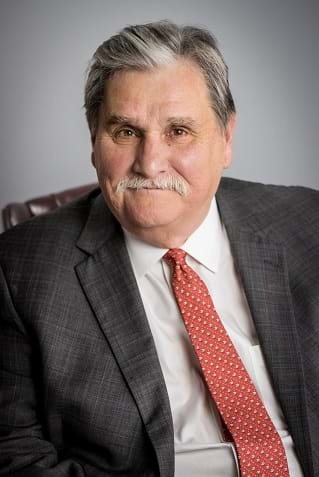 His distinguished career includes arguing cases before the U.S. Supreme Court and successfully representing a variety of employers in Arkansas and throughout the nation. Joe is nationally known for his expertise in workers’ compensation. His practice also includes general litigation and criminal law. As an AV® Preeminent™ Rated Attorney by Martindale-Hubbell® for a number of years, Joe is respected by his peers and has been named by them as one of the “Best Lawyers in America” for many years. Once again, Joe has also been named one of the Super Lawyers of the Mid-South for workers’ compensation. Community service has always been a priority to him. He is a graduate of Hendrix College; he served in the U.S. Air Force before earning his law degree. He served as an assistant and then deputy attorney general of Arkansas under Jim Guy Tucker as well as Bill Clinton, whom Joe has known since childhood while growing up in Hope, Arkansas. During his period of almost five years in the Arkansas Attorney General’s Office, Joe was in charge of oral arguments before the Arkansas Supreme Court as well as the Arkansas Court of Appeals. He has argued a number of cases before the Federal District Court as well as the Eight Circuit Court of Appeals. Joe has argued twice before the U.S. Supreme Court. Throughout his career, Joe has donated his time to a number of professional organizations, including the Arkansas Bar Association, for which he served as a member of the House of Delegates. He has been a frequent and popular presenter of continuing legal education classes in Arkansas, California and Illinois and has received several “Best of CLE” awards for presentations. Joe and his late wife, Susan, have two children. His daughter, Elizabeth, works for the Pew Charitable Trust in Washington, D.C. His son, Benjamin, earned a Ph.D. in history and is an instructor at the University of Arkansas in Fayetteville. Joe is an avid Razorback and St. Louis Cardinal fan and loves to visit the White and Norfork rivers to trout fish. He also sings in two local bands, Little Joe and the BK’s and the LLC Group. Joe has presented numerous CLE presentations on behalf of the Arkansas Bar Association and many other national organizations, including the National Workers’ Compensation Conference in Chicago and San Francisco. He received the Arkansas Bar Association’s “Best of CLE” for “Dealing with Psychological and Psychiatric Testimony” in 1993, “Status of Workers’ Compensation” in 1995 and “The Made Whole Doctrine in Arkansas” in 2008.